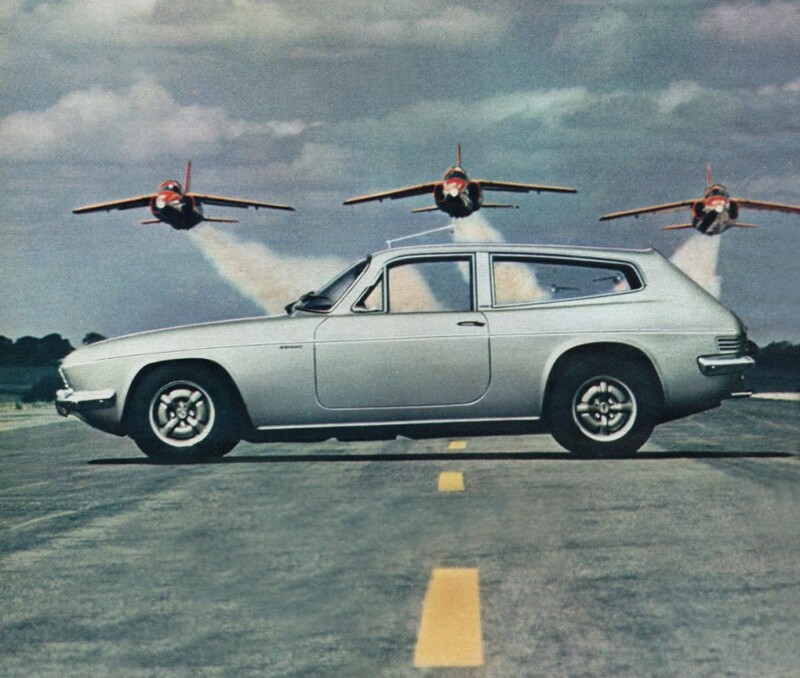 The 3 liter,V6 that had a top speed of 120 MPH in the Gran Turismo styled, lightweight fiberglass bodied 1970 Reliant Scimitar GTE is the reason for the three jets in this image I suppose. 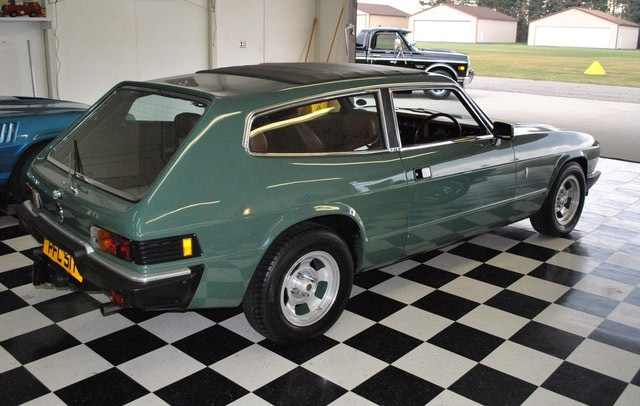 It was available in a manual or automatic and had a starting MRSP of just £1,875. Pretty cool looking little ride. Published on April 13, 2013 2:09 pm. Published on February 26, 2011 6:28 pm.